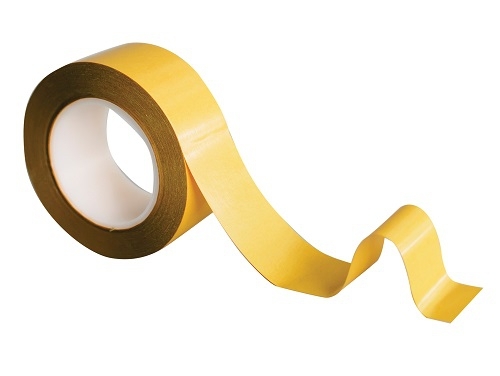 Our 814 is our high performance Polyester Tape, 230 micron Polyester with a amber paper release liner. Ideal for bonding most surfaces such as card, board, plastics, metals, ceramics, glass, wood and many more. Due to the modified acrylic adhesive system on the 814, it was specifically designed for bonding UV varnished and matt finished board applications, which are known to be extremely difficult surfaces to adhere to and provide a ultimate bond. Can be used Indoor and Outdoor for many demanding applications.